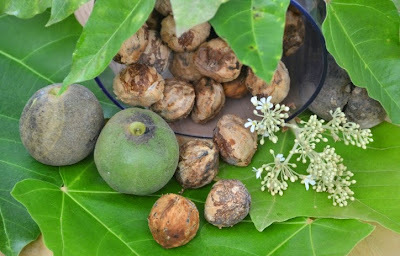 Kukui is a Hawaiian term for a type of nut that is found on these islands. 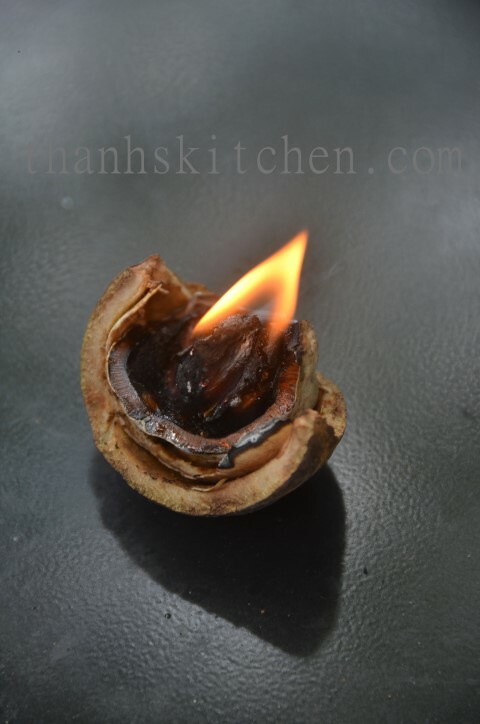 In the past the kukui were burned for light, hence the name candle nuts. 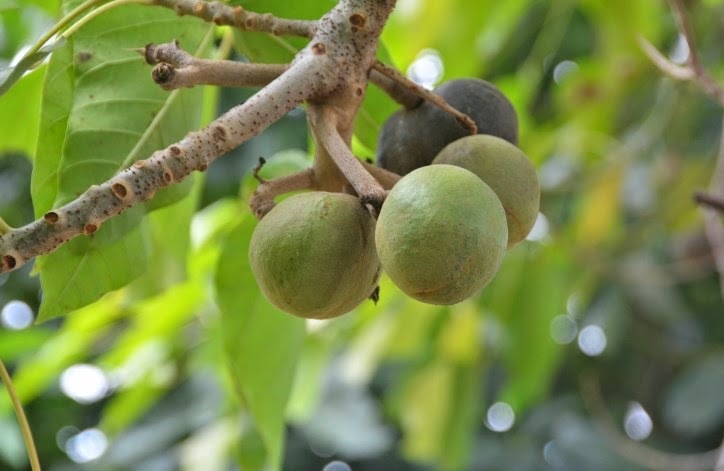 The kukui trees are considered to be native in Indonesia and Malaysia and were brought to Hawaii by the Polynesians. It is the Hawaii state tree. When you are driving on the Hana Highway you can spot these trees with their silvery green leaves along the road. If you sit under the tree for shade just expect that one of the nuts may drop on your head or next to you! People cooked with these nuts more in the past. Most likely you will not meet many people on Maui who currently use the nuts for cooking--at least none that I know. The process of roasting the nuts and getting the nut meat can be quite tedious work. They have a nutty buttery taste. Prior to using you must roast the nuts well and you cannot eat too many of them. They make an excellent organic laxative if one consumes too much. 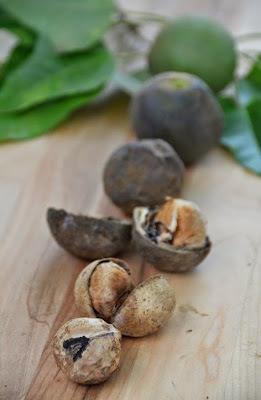 I have tried several methods of roasting the kukui nuts. I find that the most convenient and cost effective way to roast a small amount of nuts is by using a toaster oven. 1) Gather the dark nuts that have fallen off the kukui tree. 2) In a toaster oven bake the nuts at 350 F for 1 hour. 3) After the nuts have cooled completely remove the nut meat (using a hammer to break the nuts open). 4) Take the nut meat and bake it at 325 degrees F for 15-20 minutes (stir it occasionally) or until they are dark brown. 5) Let cool completely and store the prepared nut meat in a glass jar. 2) In an oven bake the nuts at 350 F for 1 1/2 to 2 hours until the meat is dark brown. 3) You can test by breaking one nut (remove the outer black thick covering shell, the thinner tan color shells to get to the hard nut and crack the hard nut with a hammer). If the nut is dark brown then it is ready. Let all the nuts cool completely and repeat the same process for all the nuts, then scoop out the nut meat. 4) Let cool completely and store the prepared nut meat in a glass jar. *Chop the roasted nut meat finely and add salt and pepper to taste. I like to add the red Hawaiian sea salt for flavor and color. This seasoning can be use in a Hawaiian-style poke. One way that I like to use the kukui nuts is to finely chop them and then add a small amount (1/2 tsp) to a salad (see above photo).